Posted 9:13 pm by MyZerona & filed under Uncategorized. This review takes a comprehensive look at Zerona laser technology, including how it works, overall benefits, the best and worst candidates, as well as how to maximize the results of your Zerona laser treatment. We’ve obtained input from five top experts on this topic, including a principal at Erchonia Corp., the company that manufacturers the Zerona; a doctor in South Carolina who uses the Zerona laser at his practice; a massage therapist and wellness counselor with a background in nutrition; a Doctor of Chiropractic; and a certified advanced Rolfer who incorporates Rolfing with Zerona. Keep in mind that this article is not intended as medical advice. Before you decide to try Zerona, talk to your medical provider, first. What Is the Zerona Laser and How Does It Work? The way it works is through cold laser technology, which disrupts the fat cells membrane, allowing the contents of the fat cell to release, said Dr. Philip Jordan, founder of HealthFirst Integrated HealthCare Solutions in Aiken, South Carolina. “The fat is then lymphatically drained, processed through the liver, and excreted via the bile in to the intestines,” said Kallenbach. As a massage therapist and wellness counselor with a background in nutrition, Kallenbach works the Zerona Laser into her client’s lives as a way to jump-start a change towards a healthier, slimmer person – or as a shorter reason to get a tune-up or trim-down for a special event. From 1998 to 2004, Erchonia – in conjunction with plastic surgeon Dr. Rodrigo Neira – began researching the effects of the Erchonia laser on fat cells, said Carl Yamamoto, DC, owner of Yamamoto Chiropractic, Inc. in San Diego, California. “What they found through MRI imaging, was that fat emulsification (liquefying) occurred at a depth of 5cm (2.58cm = 1 inch),” said Yamamoto. Since 2008, he has utilized cold lasers within his practice to relieve pain, decrease healing time in injured tissues, and to normalize function between nerves and the body parts that they innervate. “Erchonia was the first company to get FDA clearance for this purpose in 2002,” he said. When attending chiropractic continuing education classes sponsored by Erchonia, the company would inform the attendees of the new and developing devices that were available to the practitioners, Yamamoto noted. What Does a Zerona Laser Treatment Feel Like? The Zerona laser treatment itself is a treatment that a person generally does not feel at all, so they have a bit of time to relax, 20 minutes on their back and then 20 minutes on their stomach, while the laser continually fans in a circular pattern over the torso and thighs, Kallenbach said. What Are the Ideal Body Parts for the Zerona Laser? 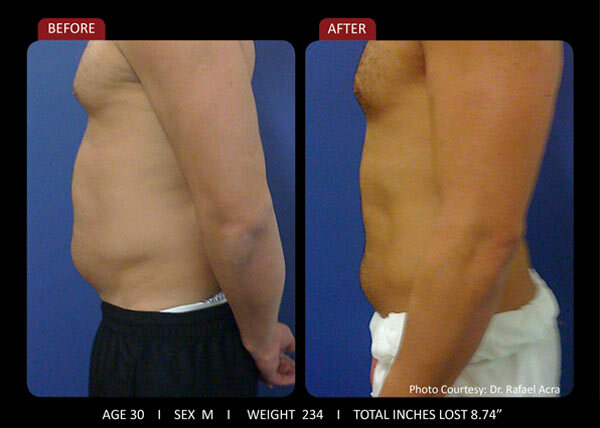 The Zerona laser can be used to treat any area of the body where there is unwanted fat, Dr. Jordan said. “Most patients focus on the stomach, back, thighs, and buttock,” he said. The main benefits of the Zerona laser include absolutely no downtime, no needles, and no incisions, Dr. Jordon noted. According to Shanks, Zerona protocol requires 6 treatments that can be performed 3 times a week for two weeks, 2 times a week for three weeks, or 1 time a week for six weeks. “The average cost of a Zerona treatment is $200 per session,” Shanks said. A single day treatment is $200, including the Zerona, body wrap, and steambed with body brush to take home. Her 4-week package, which costs $1,000, includes 9 lasers, 9 steambed sessions, 3 body wraps, a body brush, and one month of 4 supplements: digestive enzymes, probiotics, and 2 liver supportive supplements. At Dr. Jordan’s practice, 12 Zerona laser treatments cost $1,425. “There is no additional cost for different areas of the body,” said Dr. Jordan. How Long Do the Zerona Results Last? 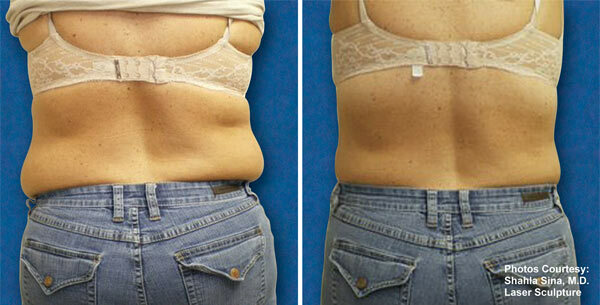 “But this service does not destroy or remove the fat cells, so the person can carelessly gain weight again,” she warned. According to Dr. Jordan, Zerona laser treatments are accompanied by a healthy diet and exercise for best results. “You can do this on a lunch break and return back to work with no issues,” she said. Depending on the person’s goals, Kallenbach incorporates the Zerona with a variety of additional services to maximize their experience and enhance the slimming effect. She commonly includes a mineral body wrap, a session in a steam bed, and/or a session of Ionithermie, a non-invasive method for cellulite and body contouring, to enhance the lymphatic drainage part of the process. “If we are doing our longer 4-week program, I include a set of supplements to enhance how the body is functioning and detoxifying to aid the liver in this process,” Kallenbach said. She also gives some general guidelines to not only enhance their slimming during the sessions but also to begin an overall better lifestyle, having encouraged more positive nutritional habits and discouraging lifestyle choices that might just reverse the effects. Kallenbach advises her clients to avoid drinking alcohol, consume only one caffeine drink a day, and have no nicotine products during her 4-week program. According to Shanks, Zerona laser treatments are considered ideal for anyone who would like to reduce fat without surgery, with a BMI of 20 to 40. Any patient that feels like they have failed with just diet and exercise alone is a good candidate for Zerona, Dr. Jordan said. Kallenbach has had both men and women who’ve had a few targeted areas – thighs and waist – to trim down a bit, as well as significantly overweight individuals looking to have a jump start in their lifestyle. She’s also had individuals come in for a few inches to go to a special event, and others come in to trim down after a cruise. Individuals with a compromised immune system, those undergoing treatment for cancer, and women who are pregnant should avoid Zerona laser treatments, Shanks said. According to Dr. Jordon, individuals not ideal for Zerona laser treatments are patients unwilling to commit to a healthy lifestyle. Others that don’t make good candidates are recent post-partum patients, and those with certain metabolic conditions, such as hyperthyroidism, Kallenbach said. James Schwartz, a certified advanced Rolfer at The Embodied Self in San Rafael, California, has been a Rolfer for 30 years, and in the last 10 years, has had a strong focus on working with nerve and chronic and acute pain issues. As he began to get referrals of increasingly serious cases, he decided to consider adding a cold laser to his practice. The results he found led to another category of referrals for health issues. Schwartz uses it in an unusual way. Rather than doing stand-alone treatments, he runs the Zerona while he’s doing his Rolfing sessions, which offer a systematic approach to releasing strain and imbalance in the myofascial system. These days, his clients are mostly through referral by other clients, chiropractors, acupuncturists and coaches of athletic teams. Before anyone decides to undergo a Zerona laser treatment, Kallenbach advises people to have realistic expectations, as well as remain committed to the program and their schedule. Zerona, like all medical procedure, requires patient compliance for best result, Shanks added. “Individuals who chose Zerona treatments will experience the best results if they make sure they are properly hydrated and reduce caffeine and alcohol while going through the six-treatment protocol,” he said. A person considering treatment needs to understand that a healthy diet, an exercise regimen (walking) and increased hydration must be adopted, otherwise you are throwing good money after bad, Yamamoto said. Zerona is the only device to undergo numerous level 1 placebo-controlled, multi-site clinical trials to prove it efficacy, Shanks said. “We have been studying low-level laser effects on fat since 1998, and have been granted 7 FDA market clearances proving the safety and efficacy of this procedure,” he said. America is in a rush, working long hours at desks or other sitting jobs, then rushing to family or children’s events, and then maintaining life at home, Kallenbach noted. “I understand it can be hard, and I try to really get my clients to not only set reasonable expectations but to not beat themselves up if they slip,” said Kallenbach, who teaches a nutrition class as well as other health classes throughout the year to further her clients’ drive to just be a little healthier each day. “I think so many people put unrealistic expectations on services such as these and when they are not met, the client is upset and disappointed and the practitioner has failed to do their job and is taking the cop out to take the money and run,” Kallenbach added.